The sparkling stunts, the fiery punch lines, the signature lighter moments and some foot tapping numbers, everything that makes a Vijay film worth your time in theaters are there in his latest offering Vettaikaran. But then, every film of Ilaya Thalapathi has all these things, you might ask. Yes, but it is the execution that makes each one different from the other and the question as you enter theaters to watch this movie is whether newcomer Babu Sivan has managed to pull the formulaic one man army theme out of the rut that it has recently fallen into. his graduation and the IPS dream. Chennai, expectedly, greets to him a) good college education b)part time employment and c)a heinous goon whose crime rate is like no one that he has seen before. The rest is all about the mission to eradicate evil. How does he do it? Does he become an IPS officer and bring them to law or does he become a force on his own, hunting them down like the title of the movie suggests? Find out in theaters. And yes, there is a love story in the midst of all this which you are bound to notice because of the songs. After hearing the synopsis one might be excused for branding this another stereotype fair. But, this one is better than that. Yes, it is undeniably a full fledged commercial flick with a lot of heroism and related stuff, but there is also a certain level of finesse in the execution. The first half is a whole lot of fun. 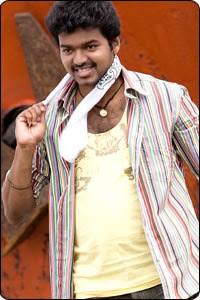 Vijay puts on a jolly and youthful demeanor which has worked very well. Along with Sathyan, they create many an enjoyable moment. The scenes on the train journey, where Vijay meets Anushka for the first time, have really come out well. It is the second half where the predictability starts to set in. A few clichés later, like the hero’s transformation in the duration of a song, you almost know where the film is heading. The script, which remained alright for most parts, looks unduly stretched during the final portions, the end could definitely have been crisper. The film, in spite of its flaws and stereotypes, is bound to click with Vijay fans. The main reason for that is the seemingly rejuvenated Vijay on screen. He looks refreshed, energetic and lends zing to the proceedings on screen. His dance moves have not lost any of their sheen, the opening number ‘Naan Adicha’ is a cracker that will surely be lapped up by his fans. Junior Vijay’s act towards the end of this number is very likeable. The ‘karigalan’ song too looks and sounds very good while ‘Puli Urumuthu’ is the typical one that catalyses the transformation of the protagonist. Besides these, the other songs don’t gel well into the narrative which is a drawback. The highly anticipated Vijay-Anushka chemistry does not provide any spark on screen which disappoints. Surprisingly, Anushka does not look as ravishing as usual and she also does not get much footage in the film other than songs. It is a bit of downer for the actress after the Arundhathi high. Other performances live up to the requirements of the script. Sathyan, along with Vijay, makes the first half work with his comic acts. Saleem Ghouse is the typical bad man while VMC Haneefa leaves a mark in his small role. Sukumari shows her experience in the portions given to her and Sayaji Shinde is in full form as a cop loyal to the evil master. Babu Sivan must be commended on a good effort, thought not without its flaws. He has handled the dialogue department with care and come out with good results. 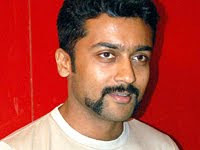 Action is a regular Vijay style and will cater to his fans. Vettaikaran is an out and out Vijay film, straight to his fans who are bound to be happy with the outcome, considering the last two offerings which did not please many. A fun first half and an action packed but predictable and a bit jaded second make a pretty reasonable final product for all those who don’t mind commercial mass masala without caring for things such as reason or logic.